“I haven’t heard this in 35 years,” Gregg Rolie allows, as he and guitarist Alan Haynes launch into a searching version of the title track from Journey’s 1976 album Look Into the Future. It’s never sounded better. Rolie co-founded Journey after both he and Neal Schon left Santana, releasing a self-titled LP in 1975. The band eventually fashioned a trio of proggy, jam-band-ish fusion albums through ’77 — all of them recorded with Ross Valory and Aynsley Dunbar on bass and drums — in those heady pre-Steve Perry days. When none reached higher than No. 85 on the album charts, however, the band added Perry — and began a steady ascent to the very top of the pop charts. For the rest of the article and the stream, please visit the Something Else! Reviews website! 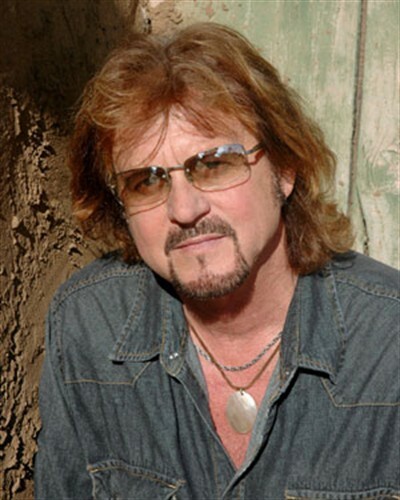 Houston, TX – Rock ‘n’ Roll Hall of Fame inductee, Gregg Rolie, best known for his vocals and keyboard work with legendary music groups Santana and Journey, will be performing at ‘Sandstock’ Virginia Beach Music Festival on June 22, 2013. The Gregg Rolie Band will be playing electrifying versions of several Santana classics such as “Evil Ways”, “Black Magic Woman”, “Soul Sacrifice”, “Jingo” and “No One To Depend On” as well as tracks from Rolie’s previous studio effort ‘Roots’, along with new songs. The Gregg Rolie Band consists of Adrian Areas (son of original Santana percussionist Jose Chepito Areas) on Timbales, drummer Ron Wikso (The Storm/David Lee Roth/Richie Sambora), Elliot “Toby” Borrero on congas, Rocket Ritchotte on guitars, internationally acclaimed bassist Gary Brown and former Jean Luc Ponty keyboardist Wally Minko. From his work with Santana and Journey, Gregg Rolie is no stranger to great musicianship. Given his experience and his desire to make the music the best it can be, he has chosen some of the best musicians in the world to bring his band and its music to life. Gregg was determined to resurrect the sound he helped shape and make famous as Santana’s original lead singer and keyboard player, while at the same time bringing it forward to the 21st century. To do that required finding just the right mix of experience, musicianship and chemistry. Having worked with some of the biggest names in music over the years and having toured the world many times over, these musicians have the skills to interpret this music in the way it is meant to be interpreted, as Gregg so intimately knows. 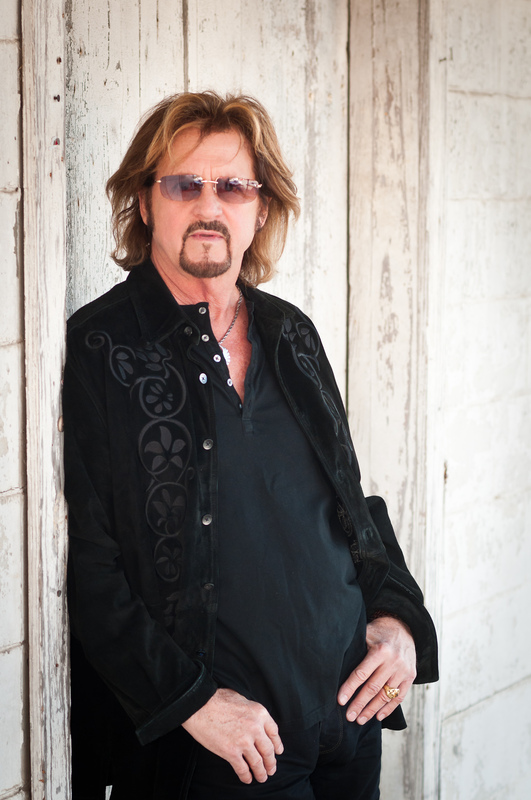 Says Gregg, “The band is great because we all really enjoy each other, and I think the sound reflects the fun we are having.” The Gregg Rolie Band will also be performing this summer at the Santa Cruz Beach Boardwalk on June 28th and the Bluesfest International Canada on July 13th. 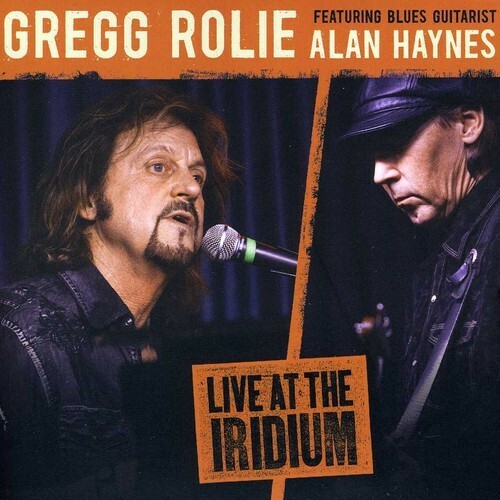 Finally, check out the new CD by Gregg Rolie & Alan Haynes titled ‘Live At The Iridium’, which is exclusively available and can be purchased at Gregg Rolie’s website: http://www.bitvibe.com/products/gregg-rolie-live-at-the-iridium-cd. Taken from one of Gregg and Alan’s duo performances at the esteemed Iridium Club in New York City, this Live CD captures the essence of the duo in action, in an intimate setting. Gregg brings stories of the glory days of Santana, the early days of Journey, and great new arrangements of classics like “Look Into The Future”, “Evil Ways”, “Anytime” and “Black Magic Woman”. Also included, brilliant new material from his recent solo project, including the touching “If I Went Home”, a song 30 years in the making about his falling out with the band Journey. Armed with a Steinway grand, and Texas Strat-slinger Alan Haynes, Gregg Rolie transforms his stadium rockers into an exciting and personal night club show. 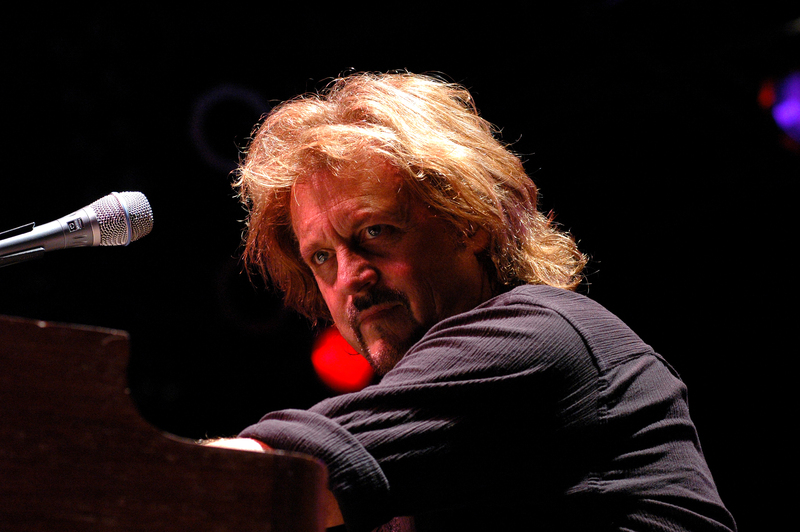 In other news, Gregg Rolie Band will be playing select dates this August 2012. The Gregg Rolie Band will be performing electrifying versions of several Santana classics such as “Evil Ways”, “Black Magic Woman” “Soul Sacrifice”, “Jingo” and “No One To Depend On” as well as tracks from Rolie’s previous effort ‘Roots’ and new songs. The Gregg Rolie Band consists of Adrian Areas (son of original Santana percussionist Jose Chepito Areas) on Timbales, drummer Ron Wikso (who was also in The Storm), Elliot “Toby” Borrero on congas, Rocket Ritchotte on guitars, internationally acclaimed bassist Gary Brown and former Jean Luc Ponty keyboardist Wally Minko. As you might imagine from his work with Santana and Journey, Gregg is no stranger to great musicianship. Given his experience and his desire to make the music the best it can be, he has chosen some of the best musicians in the world to bring his band and its music to life. Gregg was determined to resurrect the sound he helped shape and make famous as Santana’s original lead singer and keyboard player, while at the same time bringing it forward to the 21st century. To do that required finding just the right mix of experience, musicianship and chemistry. Having worked with some of the biggest names in music over the years and having toured the world many times over, these musicians have the skills to interpret this music in the way it is meant to be interpreted, as Gregg so intimately knows. “The band are great, because we all really enjoy each other and I think the sound reflects the fun we are having,” says Gregg. 2/20/2012 – Gregg Rolie, co-founder of two multi-platinum super groups, Santana and Journey, will make two unique solo appearances on March 2 & 3, 2012 at the famed Iridium in NYC. The legendary Iridium has a dual history as both a jazz institution and the home of Les Paul, who performed at the venue regularly from 1996-2009. Les Paul Mondays were always an event with such iconic guitarists as Jeff Beck, Steve Miller, Todd Rundgren and Ted Nugent sitting in with the Les Paul Trio. Gregg Rolie’s two-day performances at the Iridium come on the heals of his new solo EP, “Five Days”. Gregg, along with his special guest, blues guitarist Alan Haynes, will be playing selections from the new EP along with many old favorites. He’ll share stories from his 40-plus year career and answer questions from the audience during the show. After his performance, there will be a meet and greet with the audience and Gregg will be on hand for pictures and autographs. Gregg Rolie is the voice behind the classic Santana hits “Black Magic Woman” “Evil Ways” and “Oye Como Va”. In 1998, this world class musician, writer, producer was inducted into the Rock ‘n Roll Hall Of Fame as the unmistakable lead vocalist of the Santana band. In addition to launching- along with Carlos Santana- the now legendary act, Rolie also co-produced their first four groundbreaking albums. Departing Santana after the pioneering jazz fusion offering ‘Caravansarai’ in 1972, band members Gregg Rolie and Neal Schon went on to form the 1980s hit-makers Journey, co-writing and producing that band’s first 7 albums. Just released in 2011, “Gregg Rolie – Five Days” is Gregg’s latest EP/CD consisting of 6 songs with Gregg playing acoustic piano and singing live. He recorded these tracks in his living room on the piano given to him by his father in the early days of Santana, and as Gregg says, “it’s from my house to yours” He gives beautiful new renditions of 2 classic hits that he sang as the lead singer in Santana – “Black Magic Woman” and Journey – “Anytime” – as well as 4 new songs, his own compositions through solo voice and piano. Recently featured on the cover of the UK’s Keyboard Player magazine, Rolie is a renowned Hammond B3 player, celebrated for his gritty and intense performances. Up close, personal and intimate, the show will feature a side of Gregg that all fans should get to know. 7/21/2011 – Houston, TX – Rock ‘n’ Roll Hall of Fame inductee, Gregg Rolie, best known for his vocals and keyboard work with legendary music groups Santana and Journey, will be performing at The Sand Bar in Put in Bay, OH on August 6, 2011. The Gregg Rolie Band will be performing electrifying versions of several Santana classics such as “Evil Ways”, “Black Magic Woman” “Soul Sacrifice”, “Jingo” and “No One To Depend On” as well as tracks from Rolie’s previous effort ‘Roots’ and new songs. The Gregg Rolie Band consists of Adrian Areas (son of original Santana percussionist Jose Chepito Areas) on Timbales, drummer Ron Wikso (who was also in The Storm), Elliot “Toby” Borrero on congas, Rocket Ritchotte on guitars, internationally acclaimed bassist Gary Brown and former Jean Luc Ponty keyboardist Wally Minko. “The band are great, because we all really enjoy each other and I think the sound reflects the fun we are having,” Gregg told Voices of Latin Rock.